Provides a quick and easy way to hear a pitch for any written note or piano key you need. 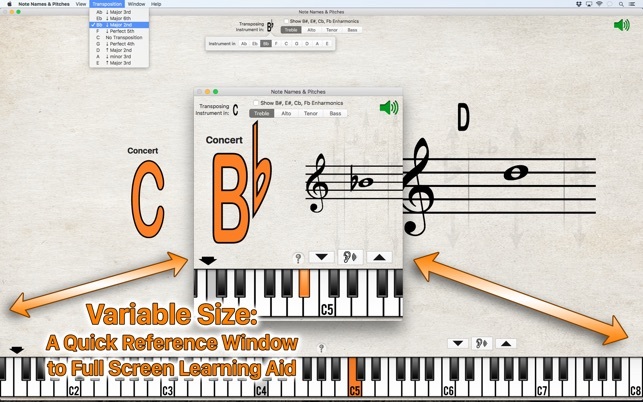 An indispensable tool for a cappella groups, and instrumentalists who often play in ledger lines or alternate clefs. Easily transpose between instruments. The concert pitch (piano key) remains the same as you select the different instrument ‘keys’ ie: Bb Trumpet, Eb Alto Saxophone. The written notes will change to reflect what to play on the instrument.